My name is Cindy Richard. I am a textile artist who creates beautiful, colorful landscapes and portraits from fabric and thread. I moved to Israel from the United States with my family 26 years ago. While working as a technical writer in hi-tech, I sought a creative outlet. Quilting filled that niche. 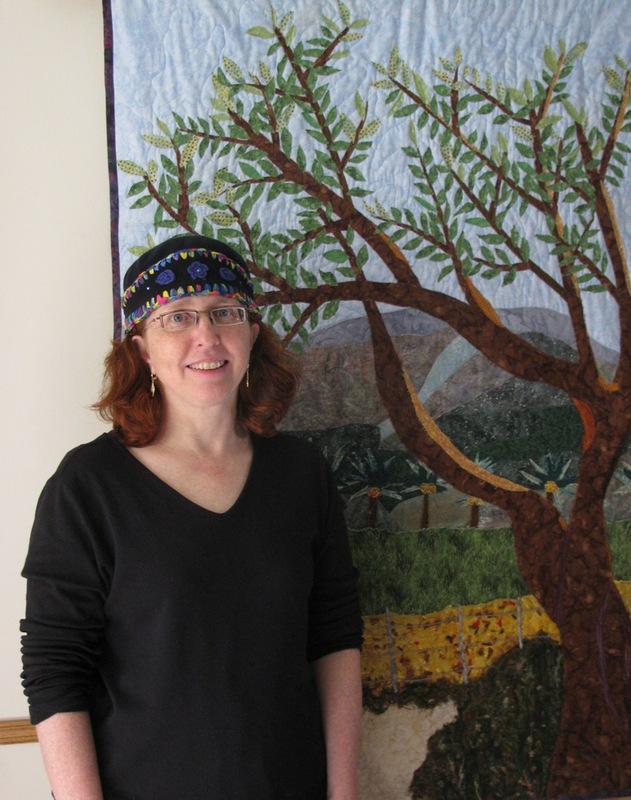 I particularly enjoy working with raw-edge applique to create art quilts that reflect the beautiful scenery of the Holy Land. Using muted colors, varying tones and textures, I use thread to paint people and places. 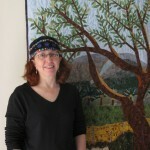 My work has been exhibited in Israel, Europe, the US and has been published in a number of American quilt magazines. I share my enthusiasm for the quilting tradition through teaching and exhibits, so others can appreciate this timeless art form. Quilting draws people together from all over the world, forming a close bond between people who share this passion. Imparting this knowledge is as inspiring as the craft. Visit Classes to see what interests you. I have a small local quilt business where I sell my work, teach classes and also sell Handi Quilter long arm machines. I invite you to visit my Art Gallery to view my collection of art. Each piece is unique and can be customized to your specific color choices and size. Feel free to contact me. I look forward to hearing from you and exchanging ideas.